super props to annie for researching and booking these beautiful excursions for us during our 6-day trip to cuba! after a fun night out, we were feeling lazy and almost went to a touristy beach closer to havana, but we powered through and made it to jibacoa. ~2.5 hrs drive away from havana, this beach is truly a hidden gem that essentially felt like a private beach. there were only a small group of tweens and a family with a few kids in our vicinity, but even they were at least a quarter mile away from where we settled in. our airbnb introduced us to a driver for hire—the best driver we could have asked for! he graciously took us to jibacoa and waited for us in the area before taking us back to the city. muchas gracias, lazaro! u da bestest. sat in front on the way back so i could get some detail shots of the car interior. not knowing what to expect from viñales, i went with an open mind on a full-day tour which included transport to and from the region (~2.5 hrs away). some parts of the tour were better than others for me, but i'd have to say the stunning farm-to-table lunch and visit to the farmer's house (aka 75 yr old cigar afficionado who has been smoking since he was 12!) made the whole day trip worth it. nicotine cores removed from the tobacco leaves—cigars are not addicting because these devils are completely removed. 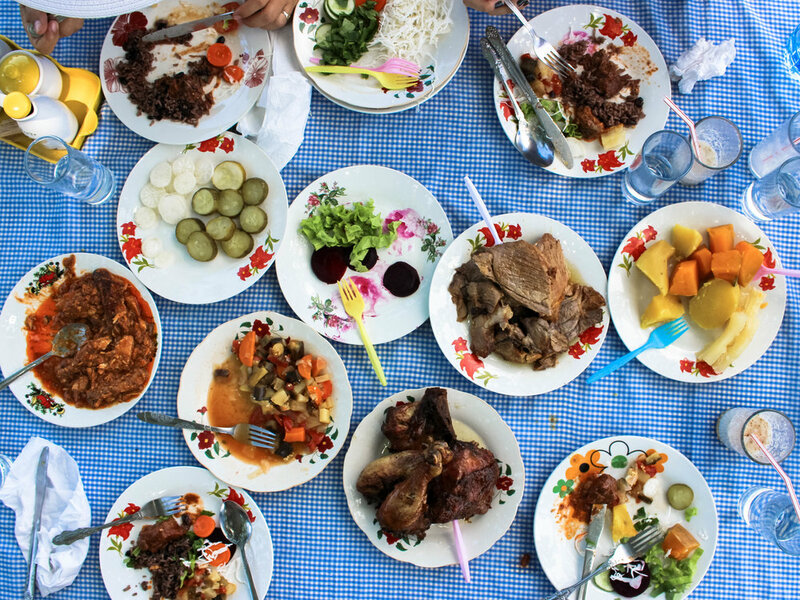 the beautiful and delicious farm-to-table lunch with gorgeous views of viñales valley.